I always look to create not the visual copy of a scene but rather its atmosphere and mood. I am absorbed with the way sun light changes and defines water, sand, rocks constantly transforming the tranquil landscape. 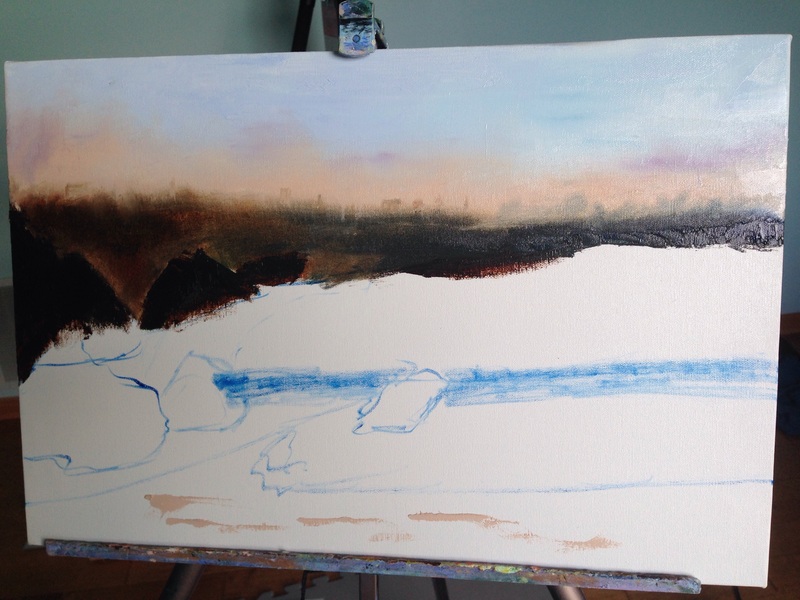 The still landscape versus changing light is always an energetic combination for a painting study. I love the physiques of the water alone. Sometimes I do use the sea as a stage to attract attention to ships, seagulls, etc. But mostly the water itself combined with a sky is the center of my painting. 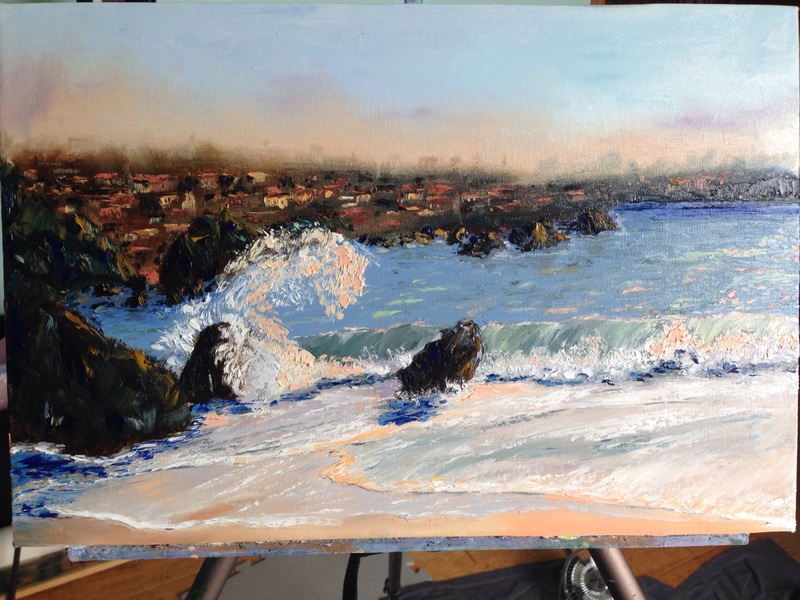 Today I decided to paint a wave crashing a rock possibly on a little European city shore. There is no reference photograph for this painting. I rather took some details from different photographs, which allows me to say that this scene is an imaginary place. Please take a look at some reference pictures from different websites I used. 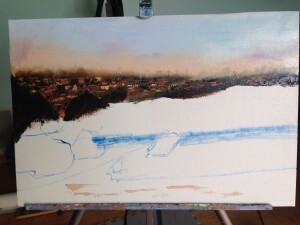 As usual I started with the top of the painting to suggest the sunset or sunrise over the small village. The amount of paint used was minimal with some linseed oil mixed in to create the foggy kind of transparency on the background. 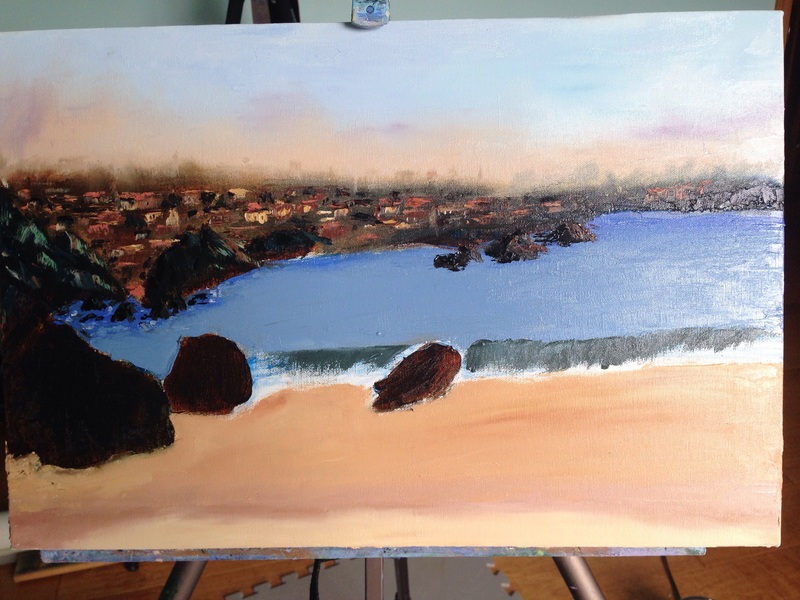 I did a quick sketch of the sea and rocks layout with a small brush. Following the first thin dark layer i added the shapes of the village’s houses and buildings using exclusively palette knife and sometimes pretty thick strokes of paint. 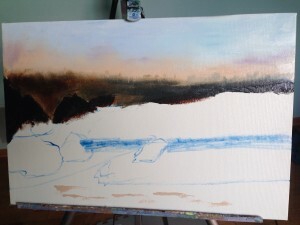 I then added the undercolor to the sea and the rocks. Another coat followed the first, also adding different variations of blue-green to push into possible wave-like movements. 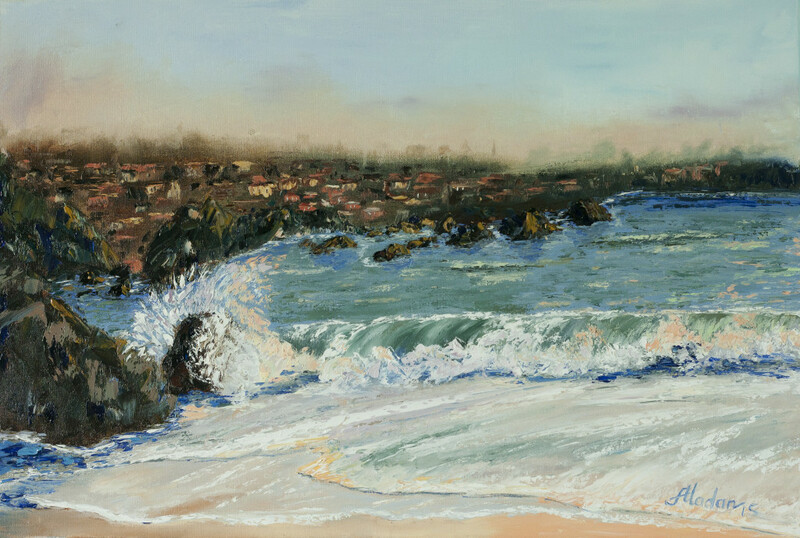 The palette knife was loaded with several combinations of light-blue, light-purple colors to mimic the waves and the foam. 3 Comments on "Wave crashing the rock"
Wow, this is beautiful! It’s lovely to see the step by step as well. It’s nice to see how you’ve created the over all image! Thank you so much! I am glad you found some interesting info!